Catholic News Association/EWTN News — Pope Francis’ address at the conclusion of the Synod on the Family, delivered Saturday, was met with a four-minute standing ovation on the part of the bishops attending the Vatican meeting. By Elise Harris / Catholic News Agency-EWTN News — While there will not be any quick fixes unveiled at this year’s synod, a fair amount of talk can be expected on the application of the Church’s pastoral practice, predicted Cardinal Donald W. Wuerl of Washington. By Catholic News Service — Father Benedict J. Groeschel, who was a founder of the Franciscan Friars of the Renewal, a leading pro-life figure and popular author, retreat master and preacher, died Oct. 3 at St. Joseph’s Home for the elderly in Totowa after a long illness. He was 81. 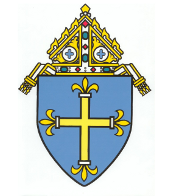 Catholic News Association/EWTN News — The Holy See has rejected the United Nations’ Committee on the Rights of the Child’s call for changes to canon law, and has formally criticized the group for a “grave misunderstanding” of the Holy See’s sovereignty.